Last year, Pentagon spokeswoman Rebecca Rebarich reiterated Washington's adherence to providing military assistance to the Lebanese Armed Forces amid what she described as challenges emanating from Daesh* and Iran. 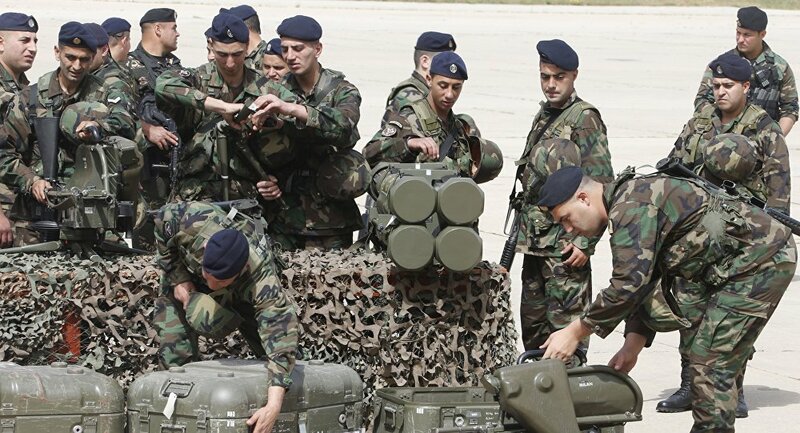 The United States has supplied laser-guided rockets worth over $16 million to the Lebanese army, in a show of what Washington touted as its "firm and steady commitment" to the Lebanese military. The US Embassy in Beirut said the missiles can be fired from for a fleet of the US-made A-29 Super Tucano attack aircraft which were earlier delivered to the Lebanese Armed Forces. The supplies come after Pentagon spokeswoman Rebecca Rebarich reiterated in May 2018 that "the United States remains committed to supporting Lebanon's sovereignty, stability, security, and its state institutions, to include the Lebanese Armed Forces (LAF) as the professional, multi-confessional and sole legitimate armed forces of the Lebanese state". "Strengthening the US-Lebanon defence relationship is all the more important in light of the continuing threats emanating from Syria, including continued ISIS [Daesh] challenges and Iranian aggression," she added. Iran denies supplying weapons to Hezbollah, although Tehran continues to politically endorse the Lebanon-based Shi'ite group. The United States has provided Lebanon with military assistance worth over $1.5 billion since 2006. *Daesh (ISIL/ISIS/Islamic State) is a terrorist group banned in Russia and a number of other countries. US Looks Forward to Working with Lebanon’s New Government – State Dept.